House Poble. Dues cases al preu d´una! House in Carrer mimosa, 25. Casa molt gran a Llagostera. House Carrer fonollerons. Casa unifamiliar !! Flat Carrer barcelona. Pis a Llagostera. See the whole range of Llagostera property on habitaclia.com leading property portal. 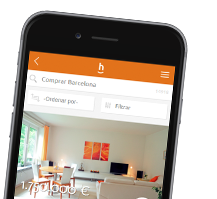 On habitaclia.com you will find the best selection of ground floors quickly and rapidly, and if you do not find what you are looking for, save an alert and we will notify you for free.